Sri Chaitanya Saraswat Math’s energetic Parikrama party. 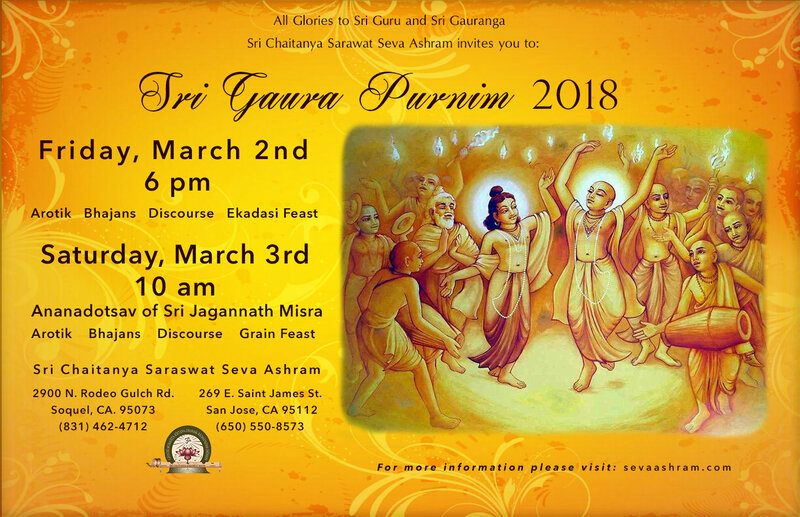 You will be able to watch Srila Janardan Maharaj’s virtual parikrama on our Seva Ashram Facebook page. His multimedia presentation will describe the Divine Pastimes associated with each of the holy sites which pilgrims visit in the holy land of Sri Nabadwip Dham during the week long festival of Sri Gaura Purnima. Watch around 6:30 pm next Monday-Thursday. If you are local, Janardan Maharaj warmly invites you to attend in person. Sri Navadvipa-dhama-mahatmya and Sri Nabadwip-bhava-taranga. Two books of Srila Bhakti Vinod Thakur including verse by verse translations: free pdf download. 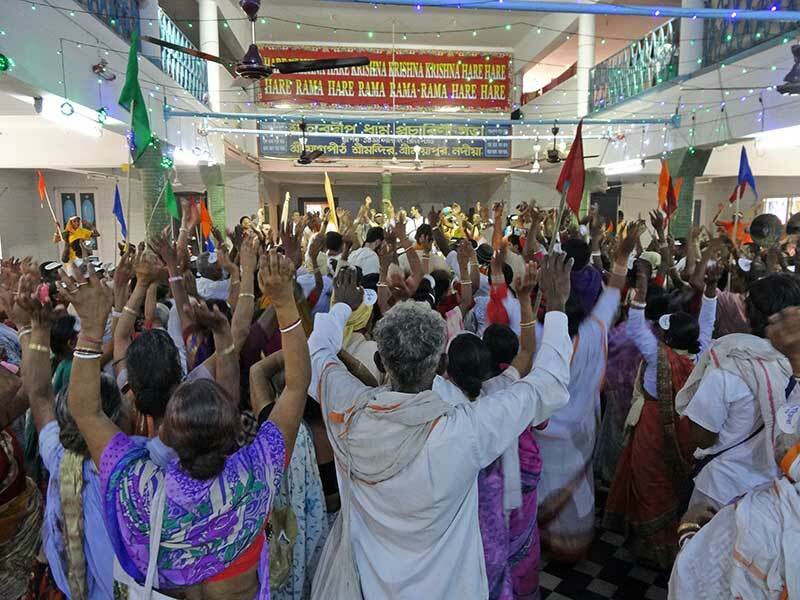 Very helpful for following the Sri Nabadwip Dham Parikramas taking place now in Nabadwip. The Land of Sweetness. Srila Bhakti Raksak Sridhar Dev-Goswami Maharaj explains the essence of Sri Gauda Mandal.